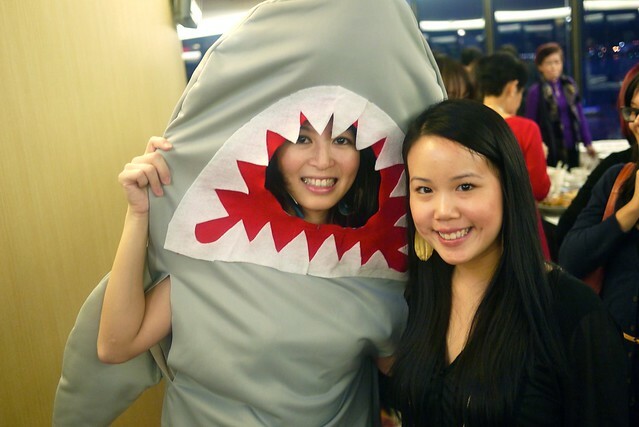 Vancouver Daze, Volume 38: Shark Truth's Sans Fin Soup Contest at Renaissance Vancouver Harbourside Hotel on October 13, 2011. Published in Vancouver Is Awesome. 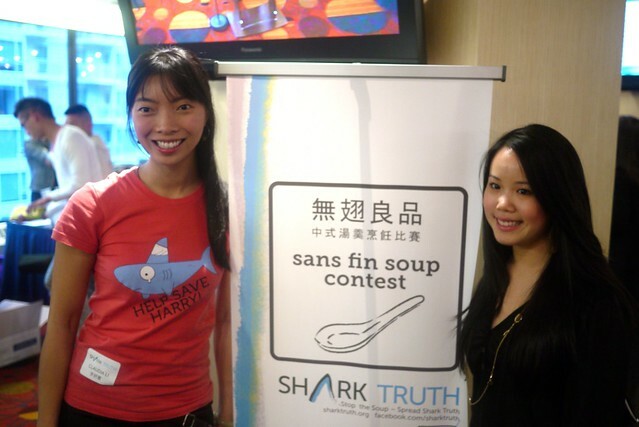 Last night was Shark Truth's big Sans Fin Soup Contest in support of finding alternatives to shark fin soup and stopping fish mutulation. Founder Claudia Li (pictured above with Angela Jung) with her team and the support of the Vancouver Foundation as one of their projects, spearheaded this cause and group. 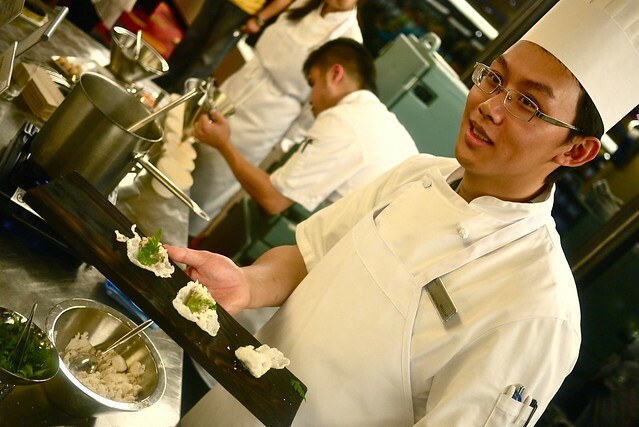 The restaurants featured in the competition were P2B Bistro, Westin Wall Centre, Wild Rice Restaurant, Edible Canada at the Market, and Sandbar Seafood Restaurant. I was surprised by the packed house. The event was sold out with 300 people in attendance. 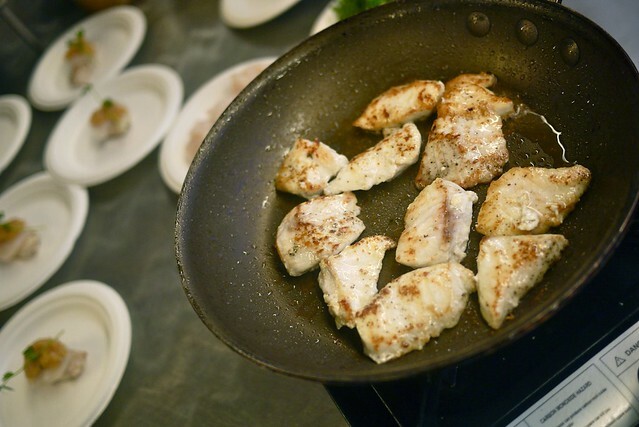 In addition to all the soups as alternatives, each restaurant station featured a side dish to accompany it. It got kind of awkward eating soup while standing in crowded lines in the hotel's circular hall in the vein of Harbour Centre. 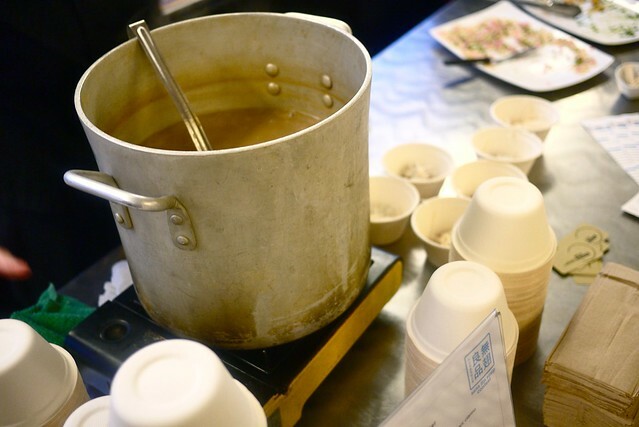 There was a fair share of spilled soup (including by me) with the heavy metal utensils. 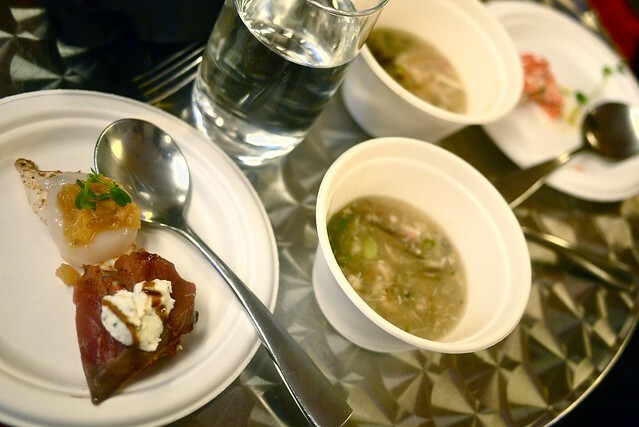 I joked that soup (unless in a cup) is hardly a social food. 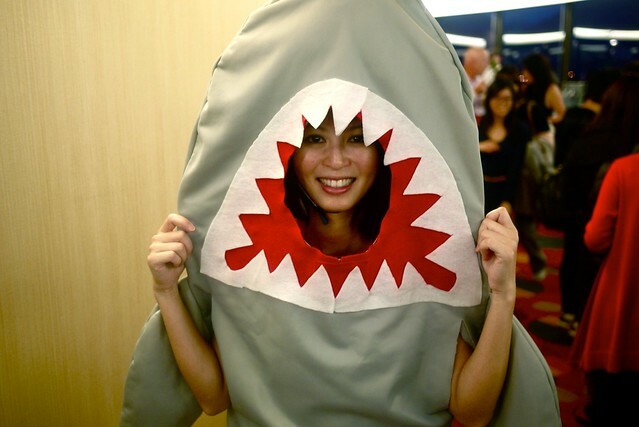 A highlight was organizer and director Cécile Yuen bouncing around the hotel in her hilarious shark outfit. It was actually nice to have fun and make light of a serious issue that Chinese traditional culture continues to struggle with. 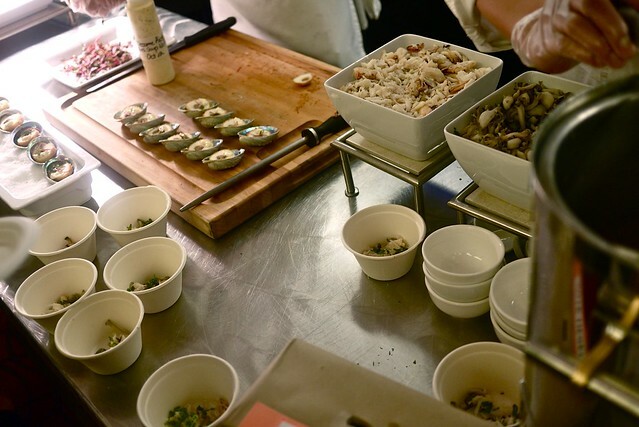 Everyone seemed taken with Sandbar as one of the best with honourable mentions to Edible Canada and Wild Rice with the first two mentioned taking home the prizes for the night. Congratulations to both the people's choice winner, Edible Canada, and judge's pick, Sandbar. It was a fun, crowded event in support of a significant cultural cause.